The Canadian Action Party stands for the use of the Bank of Canada as an independent entity that would be responsible for regulating and sustaining our Canadian economy. Please, read our historical overview to better understand the key role that a central and national bank can play in developing the economy of Canada. Until the Bank of Canada (BoC) opened in 1935, the Treasury Board, which administered the Finance Act of 1923, worked as an independent entity, isolated from needs of Canadian society. The Treasury Board had no mandate to ensure that the advances made to the banks answered the needs of the economy. Subsequently, during the Great Depression, Canadians saw the unsatisfactory nature of this arrangement. In 1934, our Canadian Parliament passed the Bank of Canada Act, and then Parliament founded the Bank of Canada a year later. Since 1938, a single shareholder has owned the Bank of Canada – our federal government (i.e. the Canadian taxpayers). The “nationalization” of 1938 perfected a mechanism that allowed Canada’s central bank to create money to finance federal projects on a near interest-free basis. 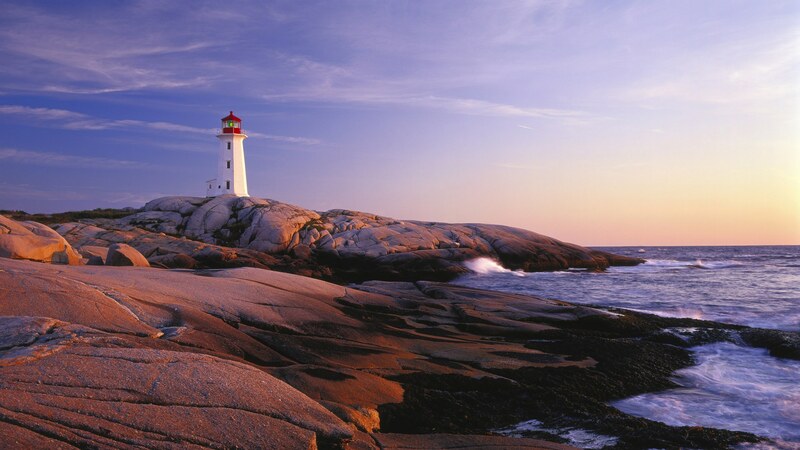 The Bank of Canada may, thus, make loans to the Government of Canada or any province (BoC Act Article 18 (c), (i) (j) or guaranteed by Canada or any province (c)). See Article 18 for a full explanation. Initially, the Bank of Canada fulfilled its mandate. First, our bank was of great assistance in getting Canada out of the Great Depression. In later years, we financed the war efforts through the Bank of Canada. Our bank was also responsible for building infrastructure and social systems in Canada into the early 1970s. However, in this time period, world-wide financial policies began to change in response to international political strategies. Until the late 1960s central banks like the Bank of Canada held inflation, i.e. general price rise, in check by regulating the chartered banks. Canadians may recognize the names of a few of these chartered banks: the Royal Bank, Scotiabank and the Bank of Montreal. Like other central banks, the Bank of Canada used one or a combination of three main tools in their efforts to regulate financial activity in Canada. First (1), our central bank raised the rates for overnight loans to the chartered banks in order to help them meet their net cheque-clearance or other financial obligations. Hence, the chartered banks had to balance their books at the end of each day. They also paid interest to the the Bank of Canada on the funds required for this daily balancing process. Clearly, the Bank of Canada required and encouraged that chartered banks be accountable for all of their funds. When a chartered bank lent money, it had to have these funds on hand. The funds on which they charges interest to customers had to be real; chartered banks could not use imaginary funds for loans. Secondly (2), central banks regulated the chartered banks by raising what we call the statutory reserve requirement. This is the percentage of deposits made with the banks by the public that the banks had to redeposit with the Bank of Canada to back their chequing and other short-term accounts. Such redeposits had earned the banks no interest, but, again, here we see another central banking procedure that encouraged the chartered banks to not only be accountable, but also to work within the resources which they had available. The central bank also regulated the chartered banks by “jaw-boning”(3). They advised the chartered banks of regions or industries where the central bank did not want bank credit increased or even maintained at its present level. One could imagine that this regulating technique did not make the Bank of Canada too popular with some businesses of regions of Canada, but it does make one wonder why the chartered banks needed these kinds of regulations in the first place. What difference does this make for Canadians today? In the 70s the monetary policy of Monetarism was adopted. (monetarists hold that the money supply alone determines price – and just about everything else! At the same time, central banks worldwide began attempting to control inflation by reigning in the money supply. Instead of judiciously augmenting the money supply, the central banks worldwide had done the opposite. The actions of the central banks disregarded the inevitable effects on interest rates. Economic growth was stymied. The chartered banks had to work within a framework that restricted economic growth. Interest rates, however happen to be the revenue of money – lenders as the sole way of fighting price rise, or inflation. What a conflict of interest! What a way to drain Canadian resources into the cache of the few. ( see – the social lien section). At the same time, a campaign was launched to enshrine the independence of the central bank from the government. Essentially this campaign decreased the ability of the Bank of Canada to enact any regulatory functions. Though the Bank of Canada Act sets forth that all shares are owned by the federal government, that in the event of a disagreement on broad policy between the governor of the Bank of Canada and the Minister of Finance, the latter shall have the right, after thirty days written notice to conform, to dismiss the Governor. If that does not add up to the good old capitalistic definition of ownership, i.e. non-independence, what does? As well as removing the Bank of Canada’s ability to act as an independent agent, the Federal government proclaimed that “zero inflation,” a perfectly flat price level, was essential for our economy. Most of Canada’s federal debt was run up in the attempt to enforce these provisions, which contradicted the Bank of Canada’s charter to finance our country’s debt. Such contradictions, however, did not deter Mr. Crow, and subsequent Bank of Canada Governors, from pursuing like policies to this day! What can they do? They are merely following orders. As we keep this historical picture in mind, it is important that we now consider two unbelievable facts. They are so astonishing that most people simply won’t believe them!! Indeed, they really do defy the imagination! Myth: it’s based on Gold: Not so! The Gold Standard was abandoned years ago. -Well….it’s not quite created ‘out of nothing’: it’s created out of a faith based on the credit of a nation: otherwise, it would be worthless. If I give you a $20 bill, you believe (have faith) that you can use it as a medium of exchange to buy other goods or services. Moreover, there are two ways to create money (out of essentially nothing). (1) GCM (Government Created Money) is created by the federal government. People understand this method. Most people when asked would say, “Well, the government creates money.” That’s true. But how MUCH of the money supply each year does the government create? About 5%. That’s all. So who creates the rest? (2) BCM (Bank Created Money): the private banking system creates money. How does the private banking system “create” money? Simple! But unbelievable! Bear in mind that MONEY IS CREATED OUT OF NOTHING. So, when you make that $30,000 loan at your bank for a new truck, that amount is typed into you bankbook. Seconds earlier it didn’t exist! Now YOU owe that money TO the bank, + interest! Myth: the money for your loan is somehow “backed” by deposits on-hand in the bank where the loan is made… Not so! You, as a citizen or a business, don’t have a choice. Much though you might like to, you can’t create money. You have to borrow your money from the private banks. These chartered banks continually create money out of nothing and subsequently make huge amounts of profit out of nothing. But governments have a choice! The federal government can EITHER create its own debt-free and interest-free money (GCM) OR borrow it AS debt, and AT interest from the private banks (BCM). The provincial and municiple governments can choose to borrow, at low interest rates, from EITHER the Bank of Canada OR borrow from the private banking system at substantial interest rates. GUESS WHICH CHOICE OUR GOVERNMENTS MAKE? -Oh yes it does! You’d better believe it! In conclusion, the Canadian Action Party has reviewed the historical record and has presented a case study above. We agree that a prudently managed central Bank of Canada is essential for Canadians. 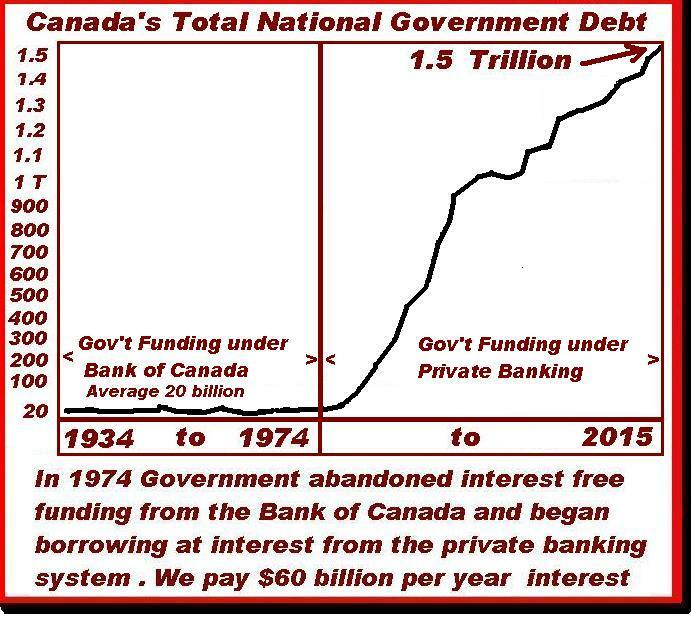 An active Bank of Canada will reign in our federal debt. Its regulatory abilities will mean less funds for multinational companies such as those who currently own our chartered banks. A strong public central bank is a plus for Canada. Canada will be able to focus her finances on infrastructure and business development that will benefit the larger part of Canadians who pay the larger part of taxes. For a comprehensive review of the value of a country having a strong central banking system, it is recommended that you read Ellen Brown, (2013) “From Austerity to Prosperity: The Public Bank Solution,” Third Millennium Press: Baton Rouge, Louisiana. ISBN 978-0-9833308-6-8.